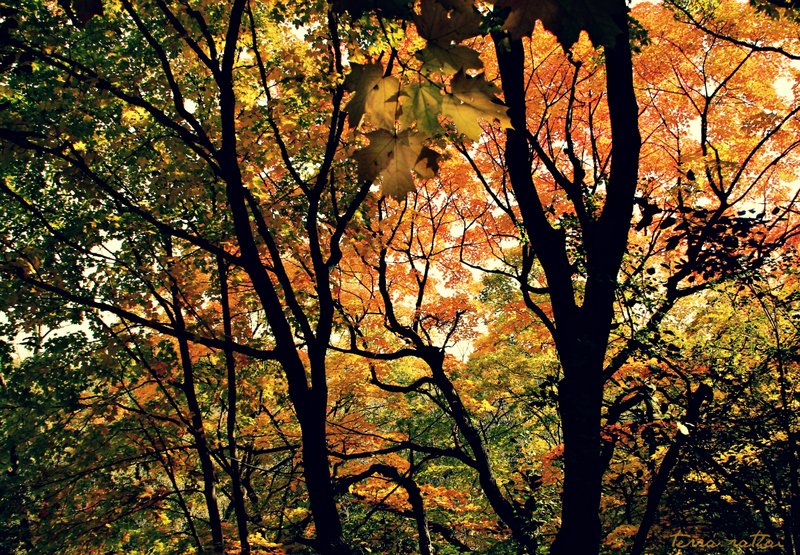 Posted on October 13, 2015 October 13, 2015 by Terra Rathai	This entry was posted in 365 Project - 2015, autumn, Flora, Nature, PHOTOGRAPHY, trees and tagged autumn, COLOR, fall, leaves, orange, silhouette, tree trunk, trees, yellow. Bookmark the permalink. Suddenly, all the colors are popping. So thankful that the crazy winds yesterday didn’t blow them all down! There is something to be said about Fall! As a Tree Specialist, I get to work with these beautiful trees all the time!